Incredibly powerful, with a detailed sound. 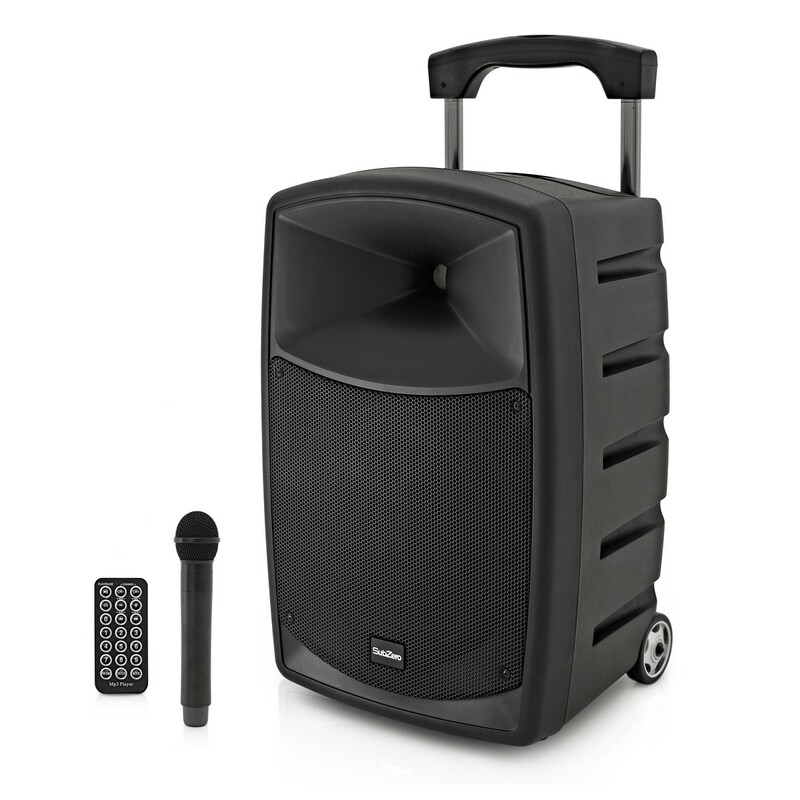 This portable PA system combines a hard-wearing construction with professional audio quality. Featuring a versatile digital media player, 120W RMS output and a wireless handheld microphone ? 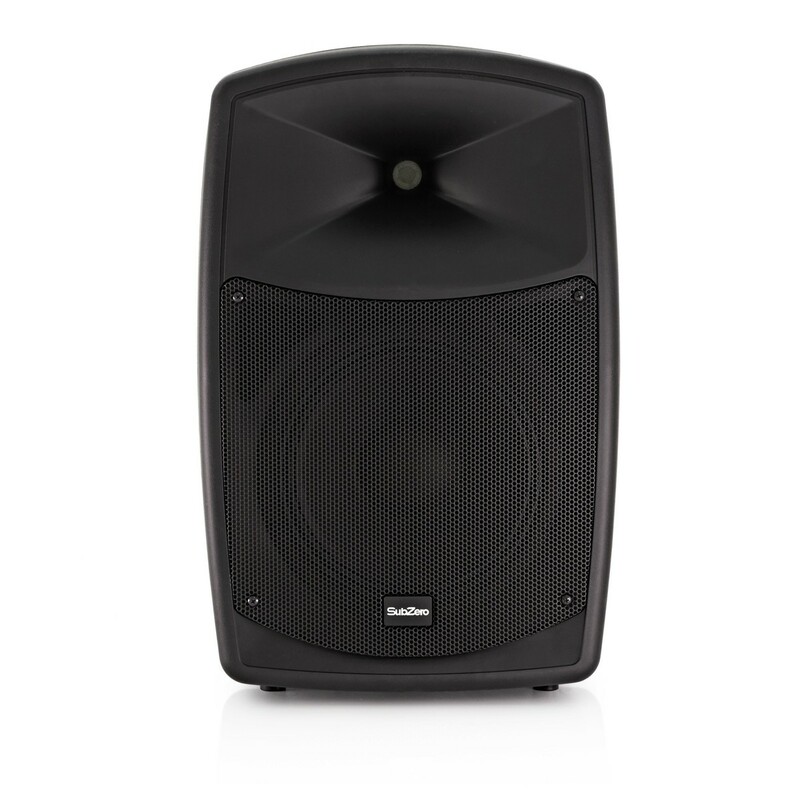 it's ideal for events, presentations and music. All completely battery-operated for up to 8 hours. A powerful and dynamic sound. 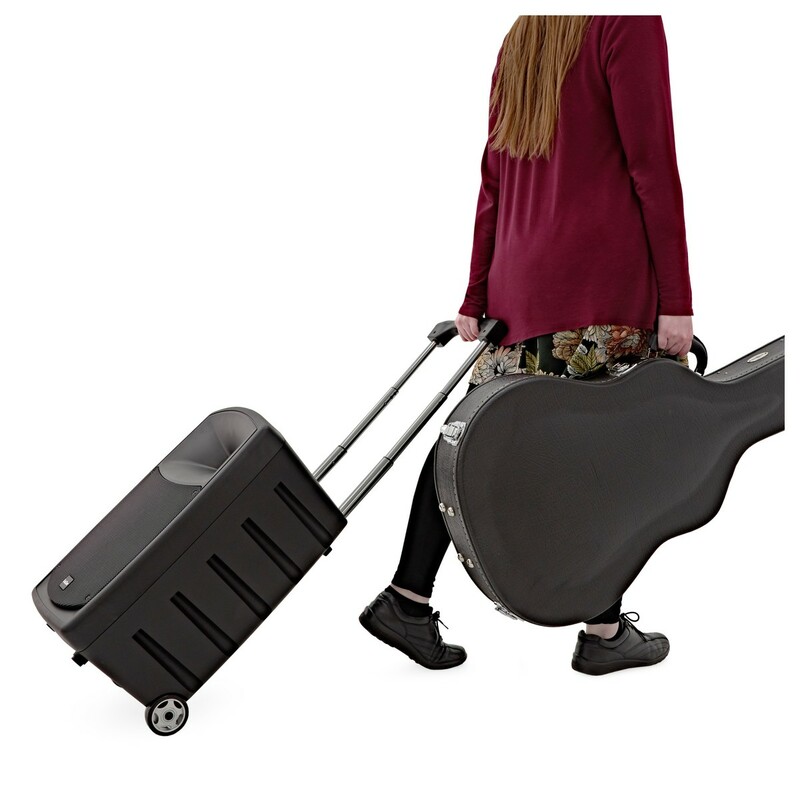 The SZPA-10X is ideal for public speaking, busking and events. Its speaker includes a high quality 10" woofer and 1" tweeter, to provide increased clarity and articulation throughout its range of audio frequencies. It even works when you don't have access to power sockets. The internal battery runs for up to 8 hours on a single charge – providing a clear and powerful audio for any all-day event. You have 120W RMS output, all in a robust ABS cabinet that only weighs 19kg. 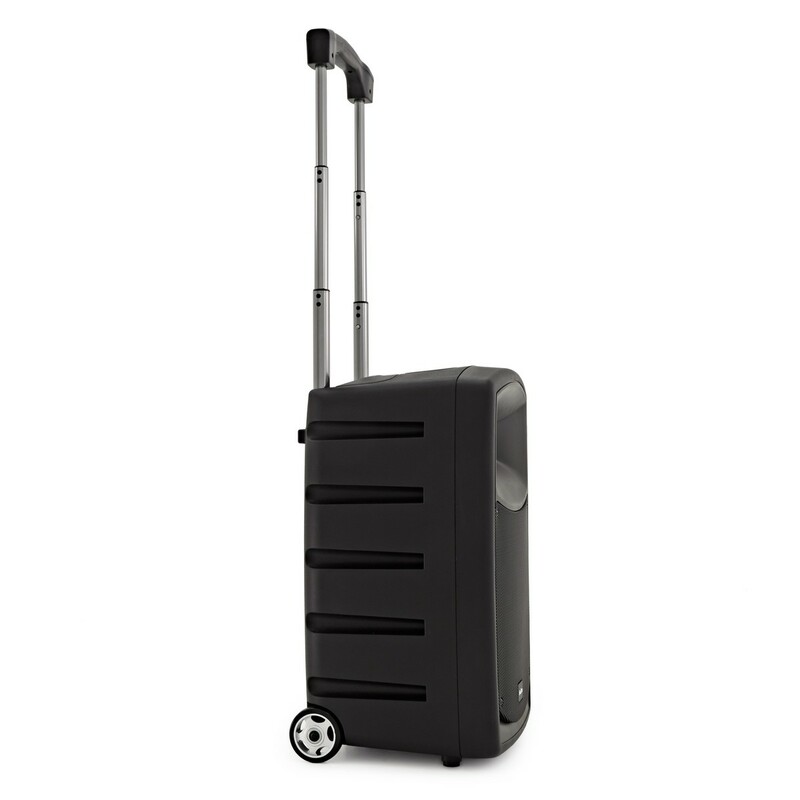 Fully portable, the SZPA-P10X has hard-wearing wheels and a solid, retractable handle for transporting to gigs with ease. Easily play music. 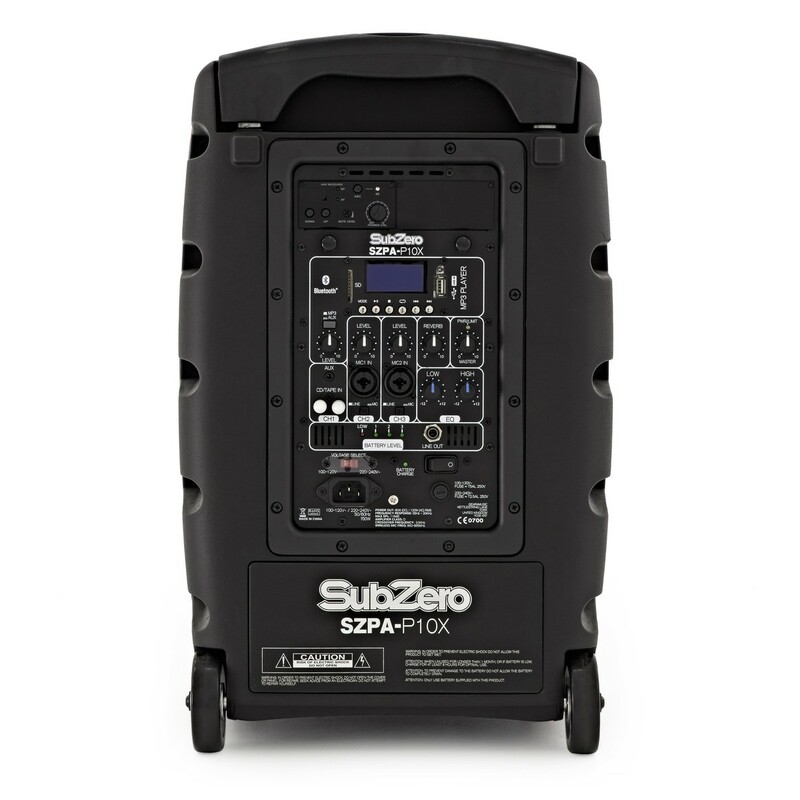 You don't need any extra equipment - the SubZero SZPA-P10X has an all-in-one media player built in. 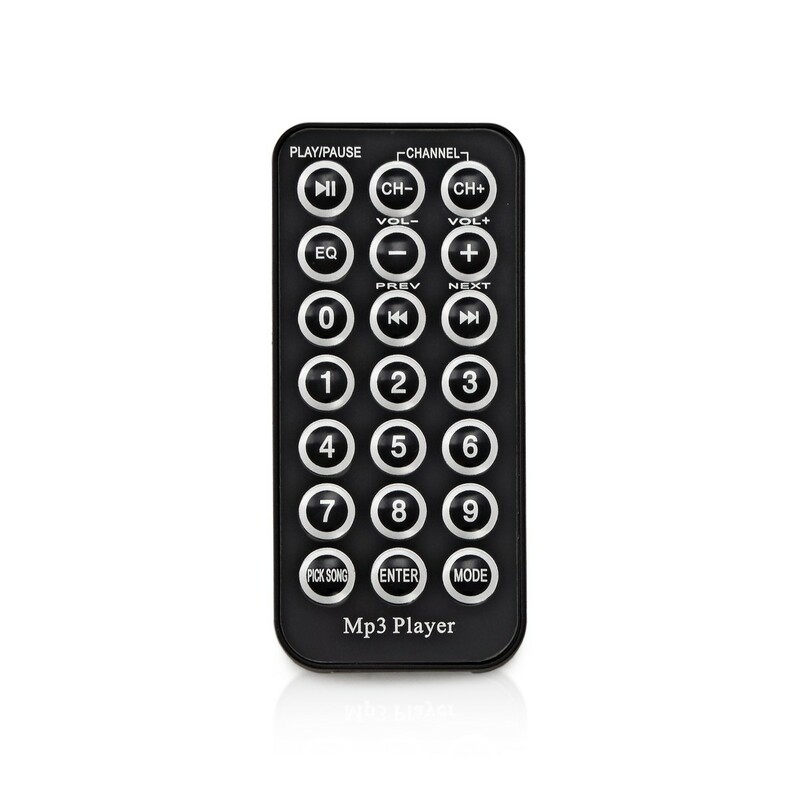 You can play MP3s from SD cards and USB, or wirelessly stream music from your phone or tablet via Bluetooth. All of this is controlled through the backlit LCD display and remote control. You can skip, loop, play, stop and pause your music. 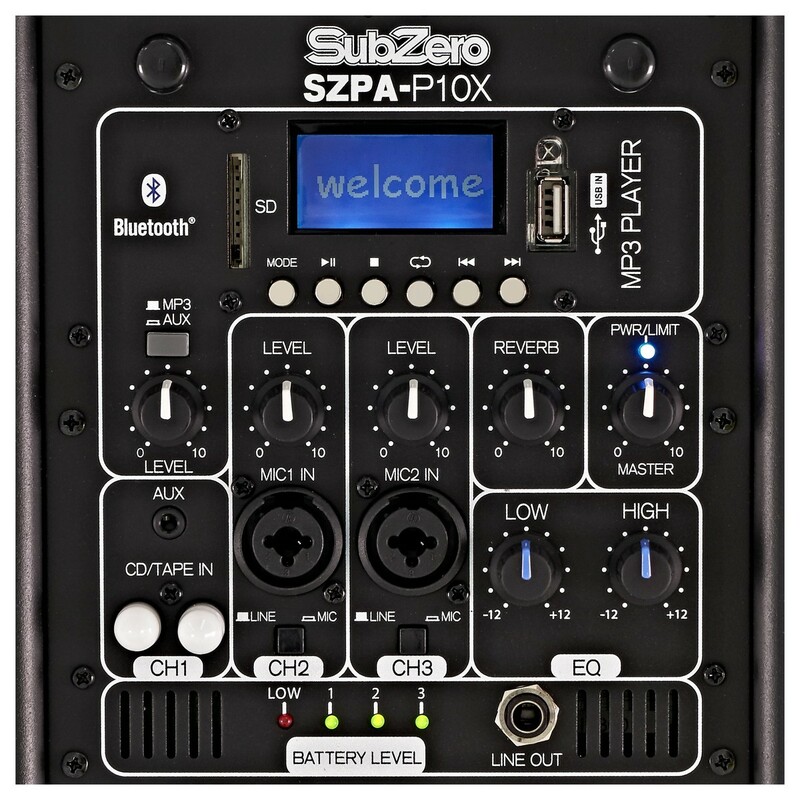 Designed for a quick setup, the SubZero SZPA-P10X has individual volume controls for each audio channel, with an adjustable reverb effect and a 2-band EQ. Two XLR/Jack combination inputs and an AUX line input provide useful connections to additional mics, instruments and extra equipment. There's also a line out for connecting to additional speakers and other audio gear. Easily use the wireless microphone. All the technology is built-in and already set up. Just turn on the system and sync up the mic. 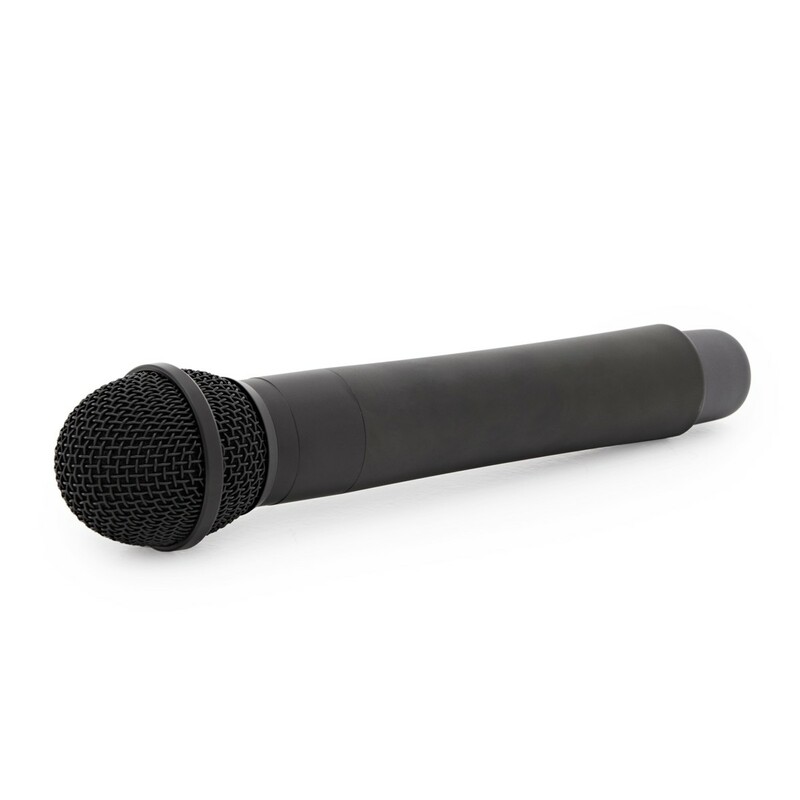 Ideal for singing, speeches, and professional presentations – the microphone uses UHF technology, which offers superior sound quality and reliability. 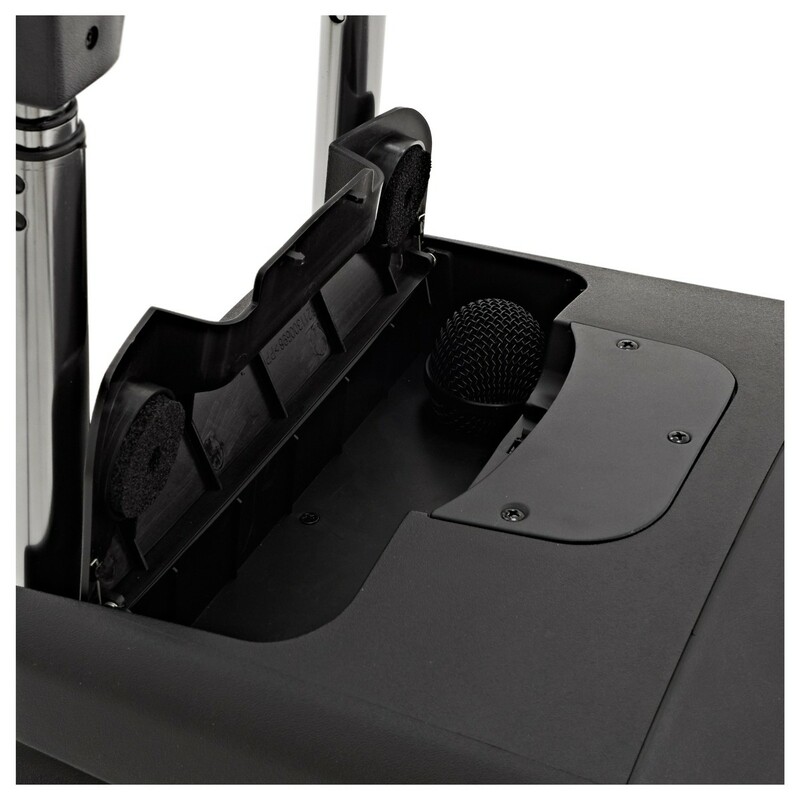 For added portability, you can even store your mic inside the speaker, sitting in a discreet pop-up compartment. Plus, UHF can be used licence-free across Europe.